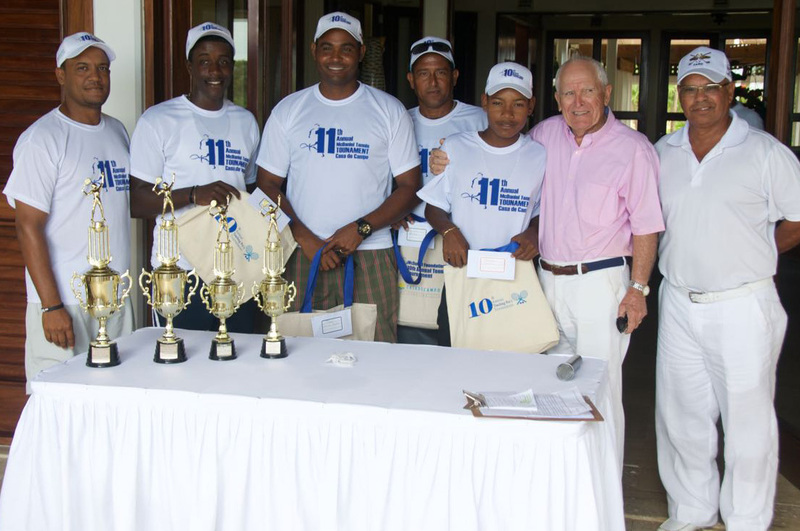 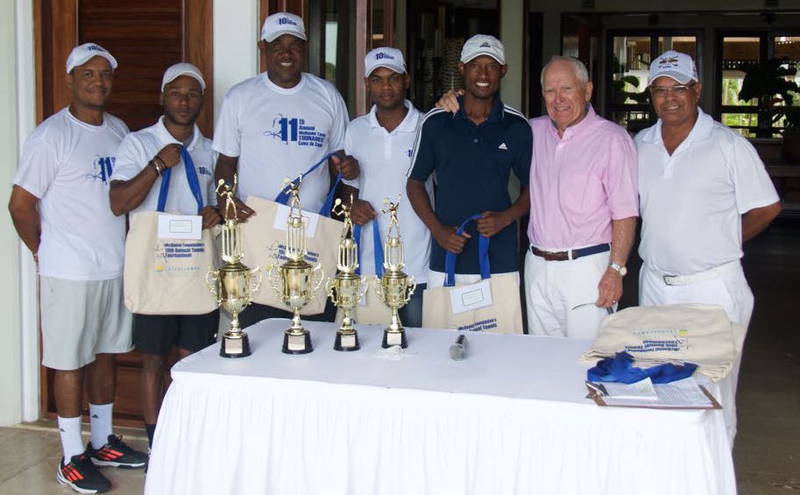 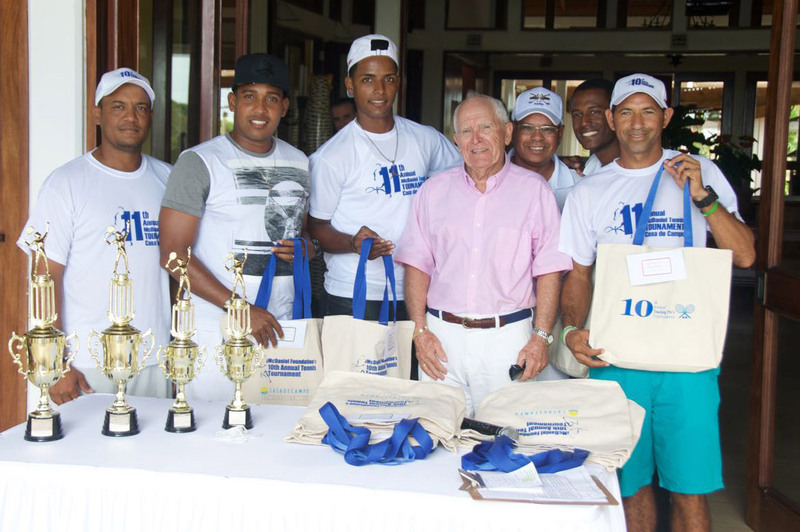 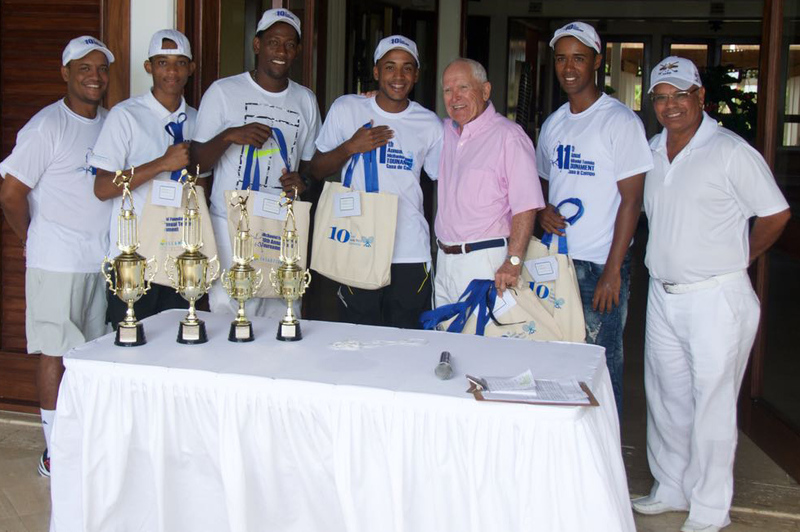 Past Honorary Tournament Chairman Alfonso Paniagua along with he winners and runners up players. 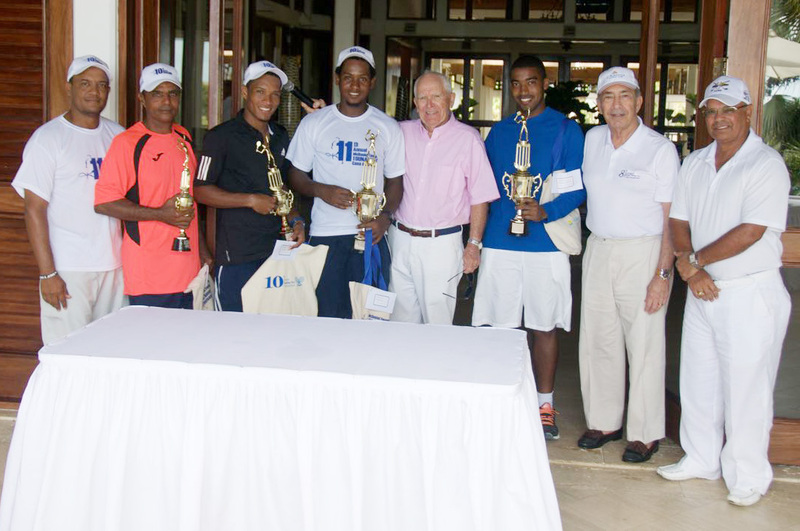 Winners and runners-up of the doubles tournament. 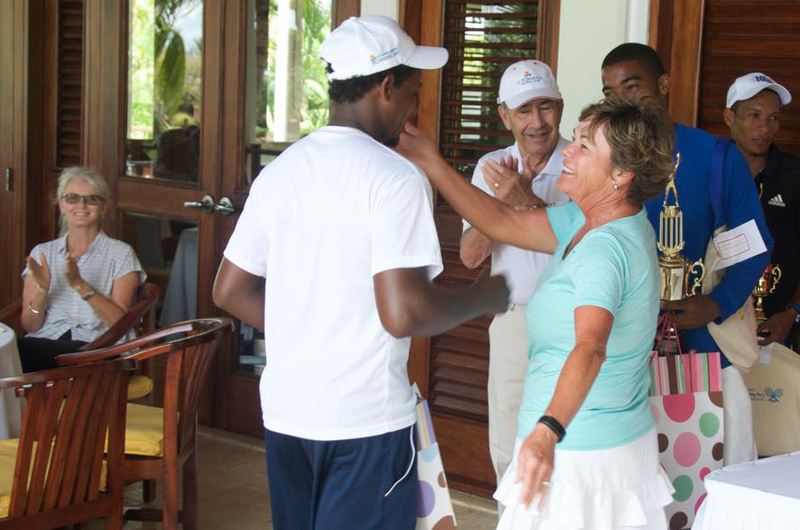 Karen Adams, member of the Foundation's Commitee, congratulates her tennis trainer Wilson Johnson for his doubles win. 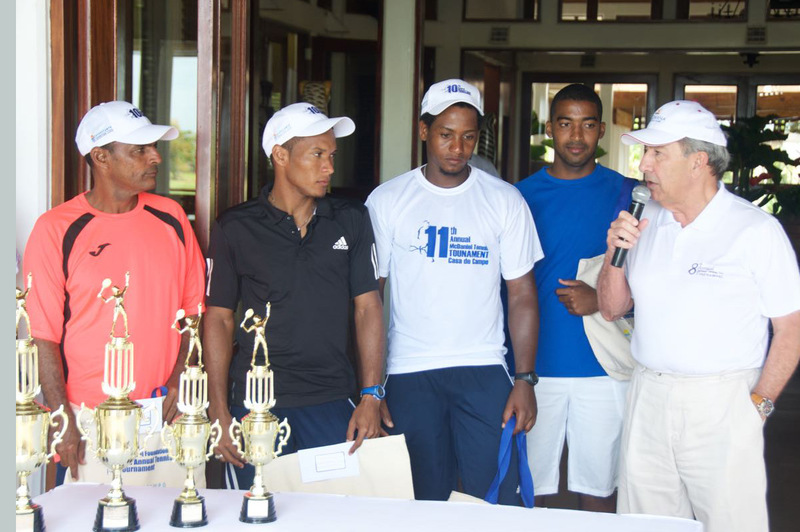 At the Awards Ceremony Andy Javier gives thanks to the Foundation. 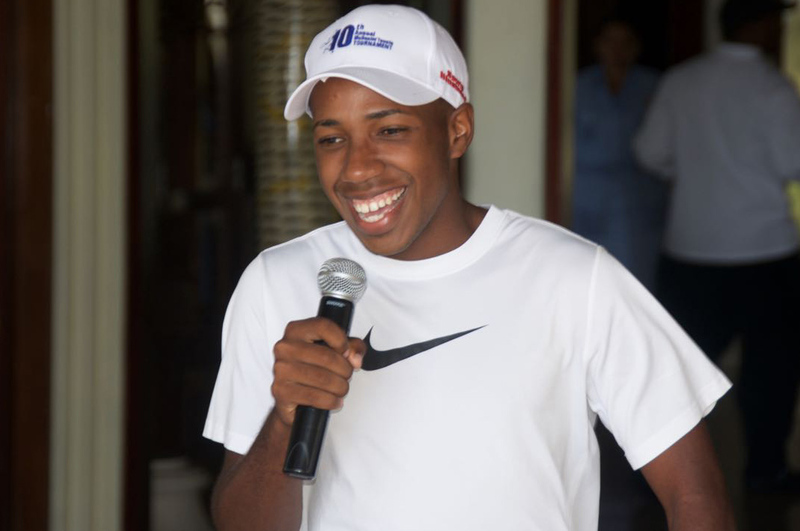 Andy is one of the original recipients of the Foundation's school scholarship program started in 2011 and continues on as one of two recipients in the college scholarship program.